A Garden Orb Weaver spider (Araneus diadematus) basking in the fall sun. In a previous post, The Year of the FLAC, we kicked off our home audio CD digitization project. We finished the project on October 1st. First we’ll present some of the parameters of the project, followed by some tactical suggestions if you are considering such a project, and finally some thoughts on the project in general. - Number of CDs ripped: 2228. Each CD was read (physically put into a computer disk drive) at least once or more in the case of problem CDs. The 2228 albums were for 1247 artists. The FLACs are stored in the typical folder hierarchy of artists\album. - Bad CDs: 6 CDs had some bad tracks and 3 CDs were not FLAC’able at all. - Software: We used dBpoweramp to rip CDs and encode into FLAC. - OS: Windows 7 on a desktop computer that had two DVD drives which could be operated simultaneously. When using both drives it seemed best to stagger the use of the drives by letting one drive rip while getting the metadata and preparing for the rip on the other drive. - Size: 643 GB for all the resulting FLAC files (includes imagery which is minor). We calculate roughly a 33% reduction in disk space used compared to the normal audio format (uncompressed PCM raw). An example of creating a simple PowerShell script for checking for empty music folders after ripping is shown here. - You need a good system of organization when processing this many CDs (or anything for that matter). We used different locations and bins to indicate CDs waiting to be processed and CDs finished. Sticky notes were used freely to leave notes on different CDs because in our effort there were two of us working at any given time. - You might need to clean a CD in order to get it to read properly. If one drive doesn’t work, try another. We had a couple of cases in which one drive was able to read a CD that another couldn't. - While Dbpoweramp is pretty good at supplying metadata (it draws from several metadata sources), you should still verify it. - Spot check rips after completing. There are a couple of cases when a custom post-project PowerShell script that we ran found problems with some tracks. In a nutshell any FLAC file that is less than 500kb is considered suspect as potentially incomplete and we did find some CDs where we thought the CD ripped fine, but didn’t. These infrequent problems are accounted for in the Bad CDs number above. - If you care about the quality of artwork, the metadata that comes through when using Dbpoweramp may disappoint you, but you can substitute your own. The maximum image size pixel size accepted seems to be about 500 x 500 so anything bigger is scaled to that. There is a lot of music we purchased that probably wasn't worth the effort to rip. We will probably never listen to that music and it's perhaps not worth even cluttering, both space-wise and information-wise, our home system. We estimate that about 10-20% of the final music count (2,228) CDs is what we care about. Now with services where you can listen to almost anything you want on demand, we will not being buying CDs in the same way. Yes, we will purchase some, just not as many as we have in the past. The medium is (part of) the message. A format that you experience music in is important to your connection to it. Part of the angst in the project was letting go of CDs and embracing digital collections like auto-generated playlists (Pandora), music on-demand services (Rhapsody), etc. The Sonos system makes this easy. We get locked into media choices and it becomes hard to change the longer you wait. It seemed inevitable that we took this step. We went through similar pain with a cassette conversion project. For this project we opened boxes of CDs dated April 2005, when they got packed for our remodel. Wow, not opening a box in 5 years must mean we don’t need or a least we don’t use what’s inside, right? I think the music in those boxes has a greater chance of being used now that it is digitized and easily accessible via Sonos. 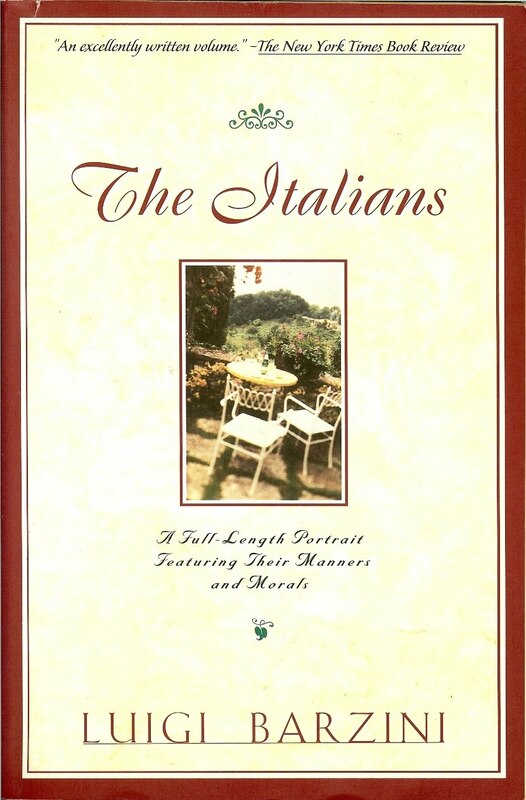 The Italians: A Full Length Portrait Featuring Their Manners and Morals (1964) is a book by Luigi Barzini (1908 - 1984). 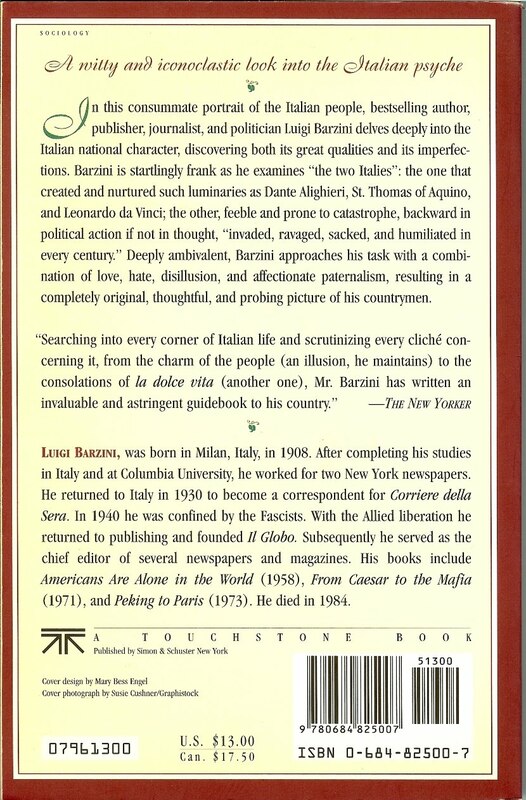 Barzini was an Italian journalist and author who worked in American for several years and also wrote Americans are Alone in the World (1953). 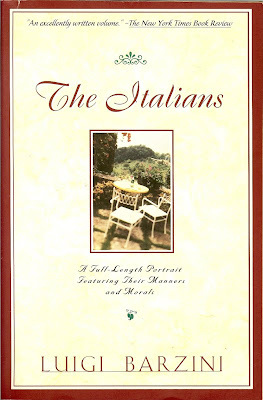 There are two notions you may have about this book that will quickly be dispelled once you get a little way into The Italians. The first notion is that The Italians is a flattering portrait of Italians. It isn’t and in fact, at times it is quite cynical. The second notion is that this is just a portrait about manners and morals. Again it isn't because there is a historical component to the book. There are two underlying questions that Barzini has in mind throughout the book. He mentions them in the Foreward and again in the Conclusion. They are this: “Why did Italy, a land notoriously teeming with vigorous, wide-awake and intelligent people, always behave so feebly? Why was she invaded, ravaged, sacked, humiliated in every century, and yet failed to do the simple things necessary to defend herself?” These are bold questions to ask about one’s country. 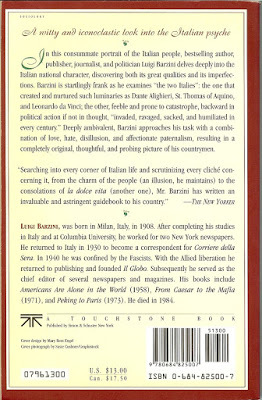 In working his way to an answer, Barzini alternates between chapters about observations and generalizations on different aspects of Italy, such the eternal charm of Italy or the importance of spectacle in Italy, and historical-themed chapters, such as rise and fall of Cola di Rienzo, Mussolini, and the Battle of Fornovo. I found the history chapters the most successful and as they lent the most weight to the book, including Chapter 7: Cola di Rienzo and the Obsession of Atiquity, Chapter 8: Mussolini or the Limitations of Showmanship, Chapter 9: Realism and Guicciardini, Chapter 15: Fornovo and After, and Chapter 16: The Perennial Baroque. So how does Barzini answer the questions he raises? He bases his answer around unity or lack thereof. Feeble behavior and invasions occurred because Italy wasn't unified. Barzini writes that even during the days of Imperial Rome, Italy remained a mosaic of different administrative entities. Any unification attempts in subsequent centuries from the outside were usually short lived. Barzini writes: “The Italians felt much too old and wise to become imitation northerners.” Italians were already unified by their past greatness. Finally, the church as a possible unifying force was a sometime ally and sometime foe and was kept in check so that it never could be the unifier. In fact, Italy was not unified until 1861, and tenuously at that, as only a small percentage of the population supported it initially. So if Italy unified earlier than she did, she might have behaved less-feebly and defended herself more ably? An intriguing idea, but certainly not a given. There are many interesting historical characters and events that Barzini weaves into the narrative, and this book is well worth reading if just for that. Chapter 16: The Perennial Baroque, in particular, is a stand out. The Baroque is a historic period from the 16th century to the 18th century which encompasses a characteristic style of art, architecture, and music. Baroque style has tendencies toward being overly ornate, needlessly complicated, and excessively emotive in composition, what you might describe as over-the-top. In that context, Barzini posits that “elements of Baroque life, oppression, tedium, and revolt, were stronger in Italy than anywhere else” and hence Italians took to Baroque quite nicely. In fact, Barzini claims that Italians are still living in a Baroque reality - at least as of the late 1950s and early 1960s when Barzini wrote the book. Of the Baroque period, Benedetto Croce (1866 – 1952) wrote and Barzini re-quotes: “Italy, who had given birth to apostles and martyrs in earlier centuries, and would beget more later, during the Risorgimento, did not produce any in the Baroque age, because such men cannot exist when there is lazy tranquility and resignation in the spirit.” That the idea of a strong creative energy channeled into narrow, acceptable expressions would ultimately lead to a sterile period is interesting. While I find much of what Barzini writes interesting, I also take it with a grain of salt. To read it as if the author intends to be provocative might help. Whether Barzini intends this, I do not know. In my collective time in Italy and studying Italy and Italian culture, I can see elements of truth in The Italians, but ultimately I believe people, and the Italians included, are more complex and nuanced to accept all of what Barzini says. 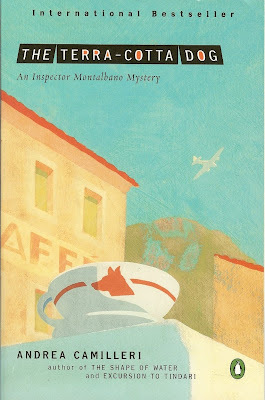 The Terra-Cotta Dog (2003) is the second in the Inspector Montalbano Mystery series by Andrea Camilleri (1925 - ). 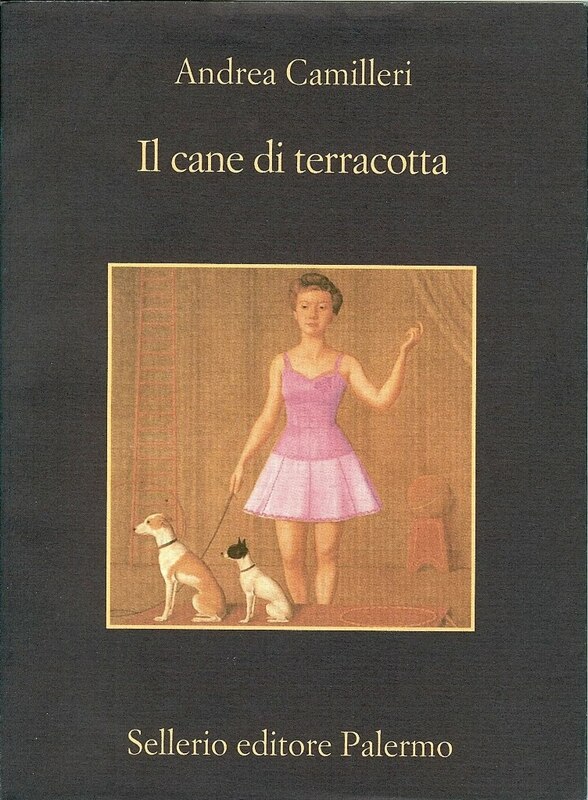 Il Cane di Terracotta (1996) is the Italian title. The events unfold around the fictional town of Vigàta in Sicily in the fictional province of Montelusa. Salvo Montalbano, a police inspector (commissario di polizia), investigates a few contemporary crimes and one fifty-year old crime. 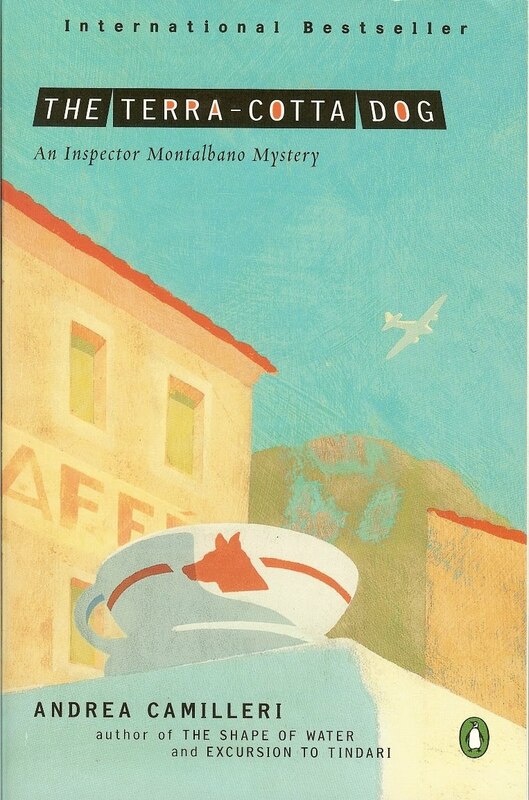 It is the latter that occupies Montalbano for the bulk of the book. The inspector is obsessed with reconstructing the last days of two young lovers during 1943, the year of the Allied landing in Sicily. The titular terra-cotta dog guards the couple in their death. As the circumstances of their death are unraveled by Montalbano we learn that the seven sleepers story is involved. The Terra-Cotta Dog follows the pattern of a quick moving plot line, lucky breaks, and a tough but lovable detective who may stretch the truth from time to time to make sure justice ultimately prevails. Montalbano occupies himself with understanding the truth of an event or action even when his colleagues and friends have moved on. In The Terra-Cotta Dog Montalbano works to put his mind at rest as to what happened to the two young lovers; current investigations almost bore him. In The Shape of Water Montalbano does much the same in that he does not accept what looked like a stock answer to a death. There is a web site, Le ricette di Montalbano, that gives recipes for food items described in the book. Buon appetito! The image shown below is the Italian version front cover. 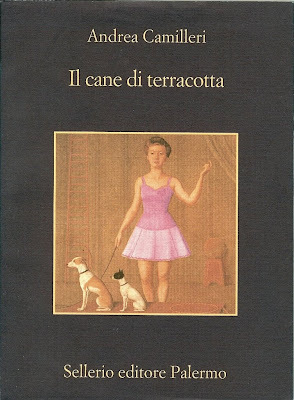 In copertina: Ammaestractrice di cani di Antonio Donghi. Collezione del Banco di Roma, Roma. My unofficial Ballard spin - yoga playlist that sonically sums up for us one and a half years of a double feature of spin followed by yoga every Monday, Wednesday, and Friday is below (culled to just 20 entries – it was hard). It spans several spin instructors and one yoga instructor. These aren’t necessarily my favorite songs but the most evocative of my LA Fitness experience besides the occasional club announcement: “what gets measured gets improved!”.